What is public space today and how do people feel ownership? Can we respond to emerging social contracts with new housing typologies in urban cores? How can local manufacturing be resilient to globalization? What should define emerging neighborhoods in New York City to create a diverse and equitable future? NEW LOCAL is a three-part series of half day-long workshops and participatory talks centered around an examination of new conditions of locality. With Koray Duman, Original Copy curated the overall series of sessions, which bring together leaders of a variety of industries—from architects, developers and planners to policy makers, sociologists, and anthropologists—to discuss new forms of public space, living, and manufacturing in New York City. 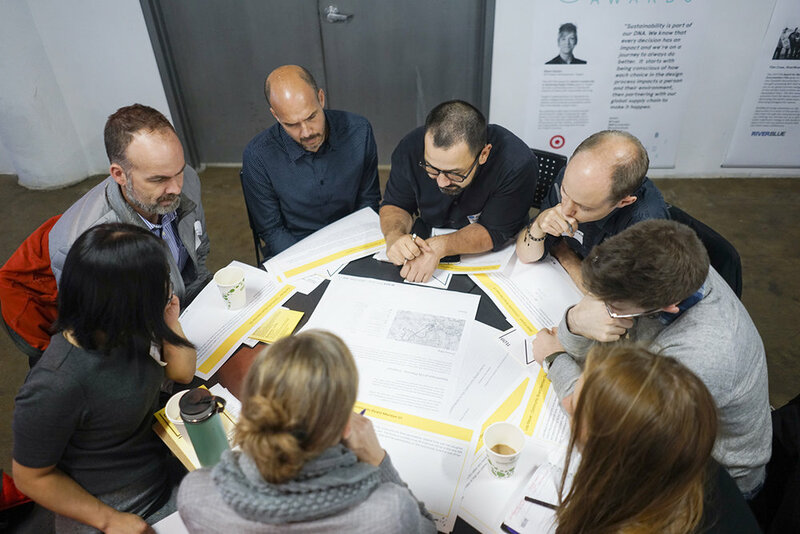 NEW LOCAL is organized by AIANY’s New Practices committee in collaboration with Arup, A/D/O, and Pratt Institute’s Brooklyn Fashion + Design Accelerator and Pratt Center for Community Development.